A cautionary tale of hate in America. On April 19, 1995, Timothy McVeigh, a former soldier deeply influenced by the literature and ideas of the radical right, parked a Ryder truck with a five-ton fertilizer bomb in front of the Alfred P. Murrah Federal building in Oklahoma City. Moments later, 168 people were killed and 675 were injured in the blast. Oklahoma City traces the events — including the deadly encounters between American citizens and law enforcement at Ruby Ridge and Waco — that led McVeigh to commit the worst act of domestic terrorism in American history. 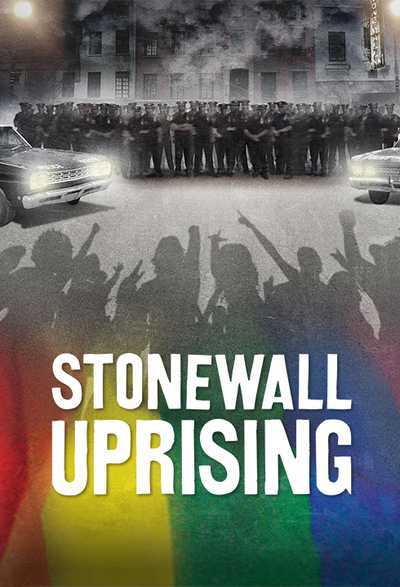 With a virulent strain of anti-government anger still with us, the film is both a cautionary tale and an extremely timely warning. Winner of a 2017 Peabody Award for Documentary and nominated for the 2017 Primetime Emmy for Exceptional Merit in Documentary Filmmaking. Ina / Claude Jou Chelli, "Etats Unis: Le Racisme En Cagoule"
KWTX-TV, Waco, Texas, Gray Television Inc.
Archival Sot: Explosion noise. Screams. Archival Sot: News Reporter: --all I can see, it looks like part of the building has been blown away. We’ll have to bank around the other side so I can get a better view of it. The explosion, though, went off around 9:00AM. 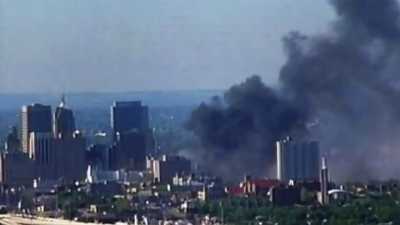 And we could feel the explosion in the newsroom of Channel 9 at least 5 miles from downtown. Archival Sot: News Anchor: --the side of the Federal Building has been blown off. Jesse? Archival Sot: News Reporter: About a third—about a third of the building has been blown away. This is just devastating. Bob Ricks, FBI Special Agent In Charge: That morning, I was not in my office. I was at a fundraiser about 30 miles away. We had a--a nine o’clock start, when all of a sudden my phone went off, and I was told that there had been some type of explosion at the Murrah Building. The greatest fear I have is that we have casualties in the thousands. At any one time there could be a couple thousand people in that building. Archival Sot: Police sirens and radio chatter. Jerry Flowers, Police Inspector: I was assigned to the Oklahoma City police tactical team at the time. And we immediately started working our way towards the building. There were several vehicles on the north side of the building in a parking lot and all of them were burning. The black smoke was billowing up. When I walked up there, there was a hole in the ground about the size of a swimming pool that was about thirty feet in diameter and about seven or eight feet deep. Just a big hole in the ground. That’s when it started really sinking in that this had to be some kind of bomb. Randy Norfleet, U.S. Marine Corps: The ninth floor collapsed on top of the eighth floor onto the seventh floor… and when all three of those floors came to the sixth floor, the impact threw me into the west wall of the building, face first. And it fractured my skull and left me unconscious there in the rubble. Ruth Schwab, Housing and Urban Development: My office was on the eighth floor, fairly close to the elevators. I came to rather quickly, but I couldn’t see anything. My eyes were in pretty bad shape. I could hear groaning and I felt like I should have done something. And I couldn’t. Jennifer Rodgers, Police Officer: When I first got there, I could see people trapped on different floors and they needed to be rescued. And so I started my way into the building. I thought to myself...“Why Oklahoma City? It’s a quiet place. Nothing happens here. It’s not supposed to happen here”. Bob Ricks, FBI Special Agent In Charge: When I arrived at the scene, it -- it had all of the -- the markings of a bombing. I had worked international terrorism at FBI headquarters before that and had worked many cases in the Middle East. It looked almost identical to some of the buildings that had been destroyed in Beirut and places like that. Janet Beck, Social Security Administration: You know, we’d always had threats…You tell somebody, “I’m sorry, but your claim’s denied” or whatever, and you know, we’d get threats, but not anything that we ever considered viable. 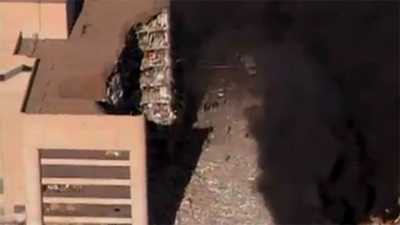 Archival Sot: Matt Lauer: There has been a massive explosion at a federal building in Oklahoma City, Oklahoma. It happened just a short time ago. A large portion of that building has collapsed and fallen away from the rest of the building. At the moment we don’t have any specific numbers on injuries or deaths, but we can tell you that the situation is obviously serious. Archival Sot: Police Officer: Get back! Move back. Move back. Jim Denney, Father: I could see people that are covered with blankets, towels, whatever, that are gone. And I’m praying that one of them is not a small child. Jon Hersley, FBI Investigator: I knew a lot of the people in the building. I knew the DEA agents that were in the building, I knew the ATF agents that were in the building, and those people were friends of mine. I could not believe what had happened to all of them and how this could be? How could somebody get to that state in their life where they could be so angry and upset that they would do something like this? Archival Sot: McVeigh: Who started the war? And who was the aggressor? That’s how I look at the Murrah bombing. To me, it wasn’t a start of a war, it was a counter-attack. The war had already been started. You guys think you can be ruthless? Let’s see how you like it when the fight is brought to you. Bill Morlin, Journalist: Northern Idaho. It’s a remote place, it’s a predominantly white place, and it’s the kind of place where everybody sort of minds their own business. In the 1980’s, a lot of extremist groups found a sanctuary there. Bill Morlin, Journalist: And one of those groups was the Aryan Nations. Jess Walter, Writer: The Aryan Nations had established itself in Hayden Lake as a sort of headquarters of hate, radical right-wing hate. Archival Sot: Richard Butler, Aryan Nations Founder: We the white race lost the war. A plague known as Jews won the war, infiltrated our bloodstream of our race in every country in which we reside. Leonard Zeskind, Writer: Richard Butler, like many far-right people at the time, held that the federal government was in the hands of the Jews. And the only way to save America was to assert your Christian sovereignty, your white Christian sovereignty. Archival Sot: Richard Butler, Aryan Nations Founder: Every major city in the United States is now non-white following the catastrophic destruction of our race in the so-called Civil War, or the War Between the States. America shall again become white and Christian. There’ll be a lot of blood running one day. I don’t advocate it and I don’t want it, but it’s gonna come as sure as day follows night and night follows day. Bill Morlin, Journalist: In the 1980’s, in America, the white race is becoming the minority race…Racist groups used that as a calling card. Come join us, because the white race is going to be driven to extinction. Daniel Levitas, Writer: The Aryan Nations attracted people from all walks of life who were white, all of them looking for someone to blame for the situation. And they focused their anger on the federal government. People like Robert Mathews. Archival Sot: Robert Mathews: You Jews get the heck out of here! I didn’t come all the way down here to hear you! Go over there! Mark Potok, Journalist: Bob Mathews wanted to start a revolution. He saw the United States government as a complete and utter enemy, run by Satanic Jews, that had to be destroyed. Bill Morlin, Journalist: He had 12 or so other followers, most of whom he had met at the Aryan Nations. 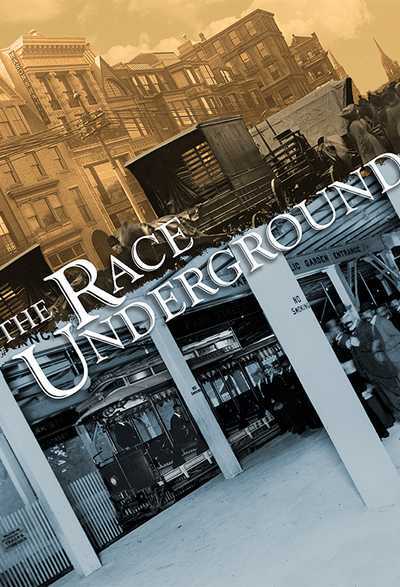 And they decided that they would basically declare war on the U.S.
Wayne Manis, FBI Investigator: As Bob Mathews was formulating a plan for his organization, he discovered a book called The Turner Diaries, written by a racist named William Pierce. It was a fictional account of a group of patriots that came together in a very small number, much like what Bob was planning to do, and overthrow the United States government. And as Bob read this, he thought, “This is us. This is the plan we need to follow”. Archival Sot: William Pierce: Unit 8 will secure a large quantity of explosives, between 5 and 10 tons. We will then drive into the FBI building’s freight receiving area, set the fuse, and leave the truck. Mark Potok, Journalist: The Turner Diaries culminates with these anti-government resisters blowing up the FBI headquarters in Washington, DC. 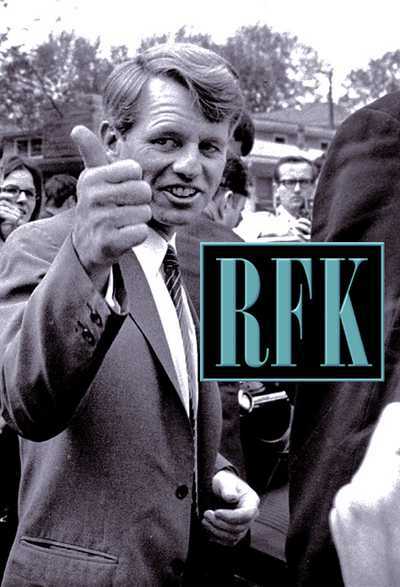 It had this electrifying, energizing effect on all kinds of people on the radical right. Bob Mathews named his group The Order after a terrorist cell in The Turner Diaries. Kerry Noble, Former Militia Member: The Order. This is a small group, but a very formidable group, and they start robbing banks, armored cars, kill whoever they had to kill. They didn’t care. Wayne Manis, FBI Investigator: Their expertise grew week-by-week and month-by-month. This was an organization that had taken real form and had real leadership and direction. And then they formed an assassination squad to go to Denver. Archival Sot: Radio Announcer: You’re listening to Alan Berg on KOA. Archival Sot: Alan Berg: You never shut up! I’m fed up with you! You never let me get a word in edge-wise! Get out of here! Mark Potok, Journalist: The Jewish talk show host, Alan Berg, had angered the radical right by essentially mocking them on his radio show. Archival Sot: Alan Berg: If you’re not a Christian, you’re un-American. Is that your point, sir? Archival Sot: Caller: That’s right! Archival Sot: Alan Berg: Good point sir! Kerry Noble, Former Militia Member: He spoke out against the right wing and the Christian Patriot movement, and members of The Order got fed up. Daniel Levitas, Writer: Alan Berg was shot to death in the driveway of his home. It was essentially domestic terrorism. It was born and bred Americans inspired by racism, anti-semitism, and anti-government ideology. Wayne Manis, FBI Investigator: The FBI didn’t really know who these individuals were. But a great break happened for us when Bob Mathews decided they’re going to take down a Brinks truck that’s carrying multiples of millions of dollars. And so, they do. A very brazen daylight robbery right out on a highway. They take this thing down. Bob Mathews is in there, he’s clearing out money, and his pistol falls out of his waistband. And we get that pistol. The gun helped the FBI track Mathews and other members of The Order to a house on Whidbey Island, Washington. Bill Morlin, Journalist: They convince some members of The Order to surrender. But Mathews wouldn’t surrender. And after a two or three day standoff, the FBI moves in on the cabin and a gunfight occurs. Wayne Manis, FBI Investigator: I’m just a little ways from the house, and the bullets are hitting right at the trees and brush line where I’m at. You know, he’s got plenty of weapons, he’s got thousands of rounds of ammunition; he was committed. Jim Botting, FBI Negotiator: The next evening, it was starting to get dark…so we put in some illumination rounds, and those rounds, one of them or so caught fire, and the building started to burn. Wayne Manis, FBI Investigator: And then it was like firecrackers, just pop pop pop pop, going off everywhere, was the cooking off of the rounds. At daybreak I walked up to the remains of the house and saw his charred body there. Kerry Noble, Former Militia Member: Mathews death forced the movement, everybody, to look at themselves: Am I really ready and willing to die for the cause? Wayne Manis, FBI Investigator: The FBI was on high alert. I mean, domestic terrorism was now--was top order. And there was a massive amount of investigation and arrests throughout the United States. Bill Morlin, Journalist: By the mid-80s, the federal agencies had the lesson of The Order, so they knew some of the folks that had come out of the Aryan Nations were doing bad things. They were committing crimes. They were killing people. So the Feds were interested in who’s there, and what are they doing, and what are they planning on doing next? One visitor to the Aryan Nations compound was an Army veteran named Randy Weaver. Daniel Levitas, Writer: Randy Weaver was a person with white separatist beliefs who moved his family from Iowa to Boundary County, Idaho to a place called Ruby Ridge. Bill Morlin, Journalist: They were 50 miles or so from the Canadian border. They had no electricity, no running water, no indoor plumbing. We’re talking about a cabin made by Randy Weaver and his wife on a mountaintop. These are people that want to be left alone. Jess Walter, Writer: The Weavers were deeply religious and they wanted to live in a style they believed was Old Testament Christian. They were really imagining this fortress, this place where they could really separate themselves from a corrupt and dangerous world. Stuart Wright, Writer: I don’t know that Randy Weaver knew at the time that they moved to Ruby Ridge that they would be so close to the Aryan Nations compound, which was just 60 miles south. But they started showing up. At first it was purely social, they attended family picnics, those kinds of things. But as Randy began to interact more with them… he bought into the message, the anti-government message. Archival Sot: Richard Butler, Aryan Nations Founder: A movement is growing all over the world. Good men are coming forth. Men with iron wills. Who are determined that our race is not gonna die and become extinct. Bill Morlin, Journalist: By the time Randy Weaver started showing up at the Aryan Nations, it was just after the whole Matthews episode. And, unfortunately for Randy Weaver, the Feds were listening. Daniel Levitas, Writer: They had lots of events there designed to potentially recruit harder-core folks into the compound, and it was at one of those meetings that Randy Weaver was spotted by an undercover federal informant. Kerry Noble, Former Militia Member: In my opinion, the ATF pretty much entrapped him into making these shotguns illegal by cutting off too much of the barrel. And then comes out and wants to arrest him over it. Bill Morlin, Journalist: They figured if we can arrest this guy on federal firearms charges, maybe he can lead us to other people that are doing more dastardly things. They did think that Randy Weaver could be flipped. Jim Botting, FBI Negotiator: So they asked him to be an informant, which he immediately refused. Randy Weaver didn’t trust the government and was absolutely not interested in being an informant. However, he failed to appear for his next court appearance. Jess Walter, Writer: Once you don’t show up for trial, the case is assigned to the US Marshal Service. And the US Marshal Service doesn’t know whether or not Randy Weaver was entrapped or how those shotguns came about. They just know they have a fugitive. Jim Botting, FBI Negotiator: The Marshals brought in their special surveillance team and they kind of skunked around the property trying to find a location to take him into custody without a problem. Jim Botting, FBI Negotiator: On the day of the shooting, the Marshals, had a six-man team they divided into two elements, and one element of three went up in the mountain to have a visual on the cabin itself. The other element was on the ground, closer to the cabin, when the Weavers’ dog caught the scent of the Marshals and went after them. Jim Botting, FBI Negotiator: All we know at that point is there was a shootout. Bill Morlin, Journalist: Who shot who first is still subject to, you know, interpretation, but when it was all said and done, 14 year-old Sammy Weaver’s dead, the dog’s dead, and so is Federal Marshal William Degan, killed on the property of a white separatist. The FBI had every reason to think that when they are dealing with Randy Weaver, they could be dealing with another Bob Mathews. Jess Walter, Writer: So at this point we have another bureaucratic shift. What started as a Bureau of Alcohol, Tobacco, and Firearms investigation, and then became a Marshal Service fugitive hunt, has now become an FBI case. The FBI begins to scramble its Hostage Rescue Team. Jim Botting, FBI Negotiator: HRT was the super-SWAT of the FBI. It was designed to handle incidents that went beyond the capabilities of a local SWAT team. Things like multiple subjects, heavy-duty weapons, grenades, that sort of thing. They were briefed on the way up to Ruby Ridge, and the implication was that it was an ongoing, war-like situation. The shoot on sight type of situation that you would find in a war. Jess Walter, Writer: Which is you first offer out a surrender warning. It essentially keeps law enforcement from opening fire on people before they have a chance to surrender. At Ruby Ridge, probably for the first time in history, the FBI’s rules of engagement are altered. Because they believe that they are deploying into a firefight with a group of armed separatists very much like The Order, the rationale is given that a surrender warning doesn’t need to be called out, that that warning has already been given, so agents can open fire as soon as they see any armed adult. Well, the Weavers are always armed. Jim Botting, FBI Negotiator: I got there and there were trucks and jeeps and all kinds of vehicles, even armored personnel carriers. It was just overwhelming how much was happening and how many people were involved. Bill Morlin, Journalist: Where we were based at the roadblock, it was out of view of where this base operation was occurring. But there were an assortment of law enforcement people going across this little bridge. Neighbors and friends of Randy Weaver, and reporters from all over the country started gathering there, trying to get information. Archival Sot: Marshal: If we can tell you something we will, but most if it will all come out of Washington, DC. Bill Morlin, Journalist: We were down a good two miles or so from where the actual cabin was. So we had no clue, as to what the FBI had in mind. Jess Walter, Writer: As morning dawns on Ruby Ridge, a team of ten FBI agents surround the cabin. These are snipers who’ve been trained to hit a dime from 200 meters. Randy Weaver, Kevin Harris, and Sara Weaver decide they’re going to go out and check on Sam Weaver’s body. They make their way out with their weapons to the shed where Samuel has been taken by the family, when a shot rings out. Jess Walter, Writer: Randy is hit in the shoulder. They run back to the house, and another shot rings out. Jess Walter, Writer: This shot goes through the door, hits Vicki Weaver in the face, splinters and wounds Kevin Harris, and drops Vicki dead to the floor. Bill Morlin, Journalist: When word came down that Sammy and Vicki Weaver were dead, the crowd at the roadblock, which numbered 50, to 100, to 200 on occasion, went crazy. Mark Potok, Journalist: The events at Ruby Ridge lit up the radical right. Here was a government that would murder men, women, and children in order to pursue whatever their ends were. Archival Sot: Protesters: …Come on! Baby Killers! Baby Killers! Mark Potok, Journalist: And the roadblock became a gathering point for skinheads, for Aryan Nations members, for all kinds of people, you know, furiously shaking their fists at the Zionist-Occupied Government. Leonard Zeskind, Writer: This was the first time the movement had gathered in such a fashion, this publicly. Leonard Zeskind, Writer: It became a political event of its own. These were people who saw themselves in Randy Weaver. After a standoff lasting eleven days, the Weaver family surrendered to the FBI. Jess Walter, Writer: You look at what happened and how many times it could have been averted and avoided. The idea that the far right had at that moment that the government was a very dangerous entity, this case would seem to prove it as completely as possible. Archival Sot: Onlooker: Mr. Weaver! Do you have anything to say? Leonard Zeskind, Writer: Ruby Ridge, more even than Robert Mathews and The Order, became a central calling card and rallying card for the far right. For them, the government was after Weaver's guns and his religion. And guns and religion became the twin pillars of the white supremacist movement. Bill Morlin, Journalist: In late summer of 1992, after Ruby Ridge, several members of the extremist movement saw that as an opportune moment to sort of gather everybody together and “let’s raise hell about this”. Archival Sot: Louis Beam: One race, one folk, one nation, one people, one homeland, we’re going to have it! Daniel Levitas, Writer: Louis Beam, former Grand Dragon of the Ku Klux Klan, said now is the time for you as an individual to commit overt acts of anti-government violence. Essentially, anybody representative of government or law enforcement was a fair and reasonable target. Kerry Noble, Former Militia Member: The government is an enemy of the people. And in this war, it’s an all or nothing, you know. We’re either going to win as the white race or we’re going to lose. Dr. Andrew Sullivan, Surgeon: Probably about 10 o’clock in the morning, I got a call at the hospital, there’s a lady who’s trapped...and the only way we’re going to be able to extricate her and save her life is to amputate her leg. Dr. Andrew Sullivan, Surgeon: So, I got an amputation set; I got some nylon rope and away I went. When I got to the building it was surreal. There were a lot of first responders there who had pretty well set things up so they could take somebody away the minute that they found them. And then I was led into the basement. Jerry Flowers, Police Inspector: We could hear people screaming. We could hear them screaming. We could hear them crying. You just couldn’t see them because it’s so dark. When they fired up these lights, you could see the floors had fallen on top of each other and created like a dungeon underneath the Murrah building. Everywhere you looked in this floor that you could see, there were these round circles of coagulated blood that were coming through the cracks of the floor. These circles were three and four feet in diameter, and they’re everywhere, seemed like everywhere, and you knew that that was a person that had been crushed. Dr. Andrew Sullivan, Surgeon: They led me to where Daina was trapped. There was a first responder with his hand on the beam that had her leg trapped. If it trembled or moved, we were told we had to go. The beam was lying on her leg, her tibia, just below the knee. Basically to do the amputation I had to lie with my legs up by her head. And so I took the traction rope, and tightened it down so that I had a tourniquet. And then, you know, it’s kind of like diving into ice water. I had to start. Archival Sot: Officer: We’ve got a hot device. Get ‘em back! Jerry Flowers, Police Inspector: They start screaming at us, “Get out of this building. We have just found another device,” and of course, everybody’s heart sinks, because we’ve got people still alive in here. Bob Ricks, FBI Special Agent in Charge: It turns out that it was not a real device; it had been a mockup for one of the agencies there. But we were still telling people, you know, that we couldn’t guarantee their safety as they went in there. Jerry Flowers, Police Inspector: I remember seeing that team down there working on that girl to amputate that leg. Everybody’s screaming at him, “Get out of there, get out of there, the bomb’s gonna--” and they would not leave. They would not leave her. Dr. Andrew Sullivan, Surgeon: I don’t remember how many times I thought that I had completed the amputation and we would try to extract Daina and she was still caught. I reached a point where all of the blades were broken and there was nothing else to do, but I had in my pocket a pocketknife that I keep very sharp. The thing that was keeping us from extracting her was the patellar tendon and the quadriceps tendon and once I cut through that, then I could kind of get a sense that the leg was free and we were able to extract her. Archival Sot: First Responder on Radio: We have two critical patients. I have one patient who needs immediate transport… (unintelligible) with severe head injury. Archival Sot: Responder: This is one of the criticals! Archival Sot: Police on Radio: Ladder on that… On the east corner of the federal building. Archival Sot: President Clinton: The bombing in Oklahoma City was an attack on innocent children and defenseless citizens. It was an act of cowardice and it was evil. Let there be no room for doubt, we will find the people who did this. Bob Ricks, FBI Special Agent in Charge: The bombing of the Murrah building was the largest domestic terrorist event that had ever occurred in the United States. We probably had close to 500 investigators that were here in Oklahoma City. We had forensic teams, bomb squad teams, evidence response teams, all kinds of experts, looking for clues. Dan Herbeck, Journalist: This becomes one of the biggest criminal investigations in American history. Every police agency in the country is in some way trying to track down leads… because at the very first they had no idea who did it. Archival Sot: Bob Ricks, FBI Special Agent In Charge: We have had hundreds, if not thousands of leads. Each one of those is treated very seriously. But at this point we cannot speculate with regard to who is responsible. Bob Ricks, FBI Special Agent in Charge: We ended up with leads in literally every state, as well as many foreign countries. Whenever you have a mass catastrophe, such as the Murrah bombing, the assumption is always, “You’ve got to have this great conspiracy. There’s got to be multiple people involved.” And we operated under that assumption as well. Jerry Flowers, Police Inspector: We were getting calls – even just after the bombing happened, we were getting reports by the thousands, “I saw this, I saw that.” Then we started getting calls over the radio about Middle Easterners, “Start looking for Middle Easterners”. Archival Sot: John Mcwethy: There has yet been no claim of responsibility for this bombing. Although if you talk to intelligence sources and law enforcement officials, they all say in their early guess in this situation is that this particular bombing probably has roots in the Middle East. Archival Sot: Connie Chung: A U.S. government source has told CBS News that "it has Middle East terrorism written all over it". Lee Hancock, Journalist: I started making phone calls, trying to find out what was going on. And very quickly found out that the Feds went and raided an apartment in Dallas that was occupied by some Middle Eastern guys. But then someone I spoke to said...“Do you know what day it is?” I said, you know, “What?” I had been off work for a couple of days and so I wasn’t paying attention to the calendar that closely. And someone said, “It’s April 19th.” And immediately it hit me. This is about Waco. You know, this is about Waco. Stuart Wright, Writer: The Branch Davidians had been in Texas…For over 50 years by the time that most people outside of Waco had ever heard of them. They were an offshoot of the 7th Day Adventist Church. They found a place outside of Waco – called it Mt. Carmel – and set up this community. In the late ‘80s, a young Davidian named Vernon Howell had a revelation that God had chosen him to be their leader. He changed his name to David Koresh and he began preaching his vision of Armageddon out of the Book of Revelation. Lee Hancock, Journalist: In about May of 1992, the Sheriff's Department in Waco got a report from a UPS truck driver about a shipment going to Mt. Carmel. There was a box that fell apart, and some pineapple grenade hulls came out of the box. That’s what prompted the beginning of the ATF investigation. Bill Buford, ATF Team Leader: That investigation was able to determine that they were illegally converting automatic weapons in there. That they had purchased about $43,000 worth of firearms during the year prior to it, and members of the community out there heard automatic weapons fire and explosions coming from the compound. Lee Hancock, Journalist: Koresh preached increasingly that they were going to be met with an opposing force. Lee Hancock, Journalist: He believed that the government was going to try to invade this sacred ground that was Mt. Carmel. And so, this actually would be where Armageddon takes place. Bill Buford, ATF Team Leader: People in ATF felt that if this Armageddon that he predicted didn’t come true he was going to have to do something to prompt it. So, we decided that we needed to act as quickly as possible. Lee Hancock, Journalist: Reporters for the Waco Tribune Herald had really good sources in local law enforcement and they had been tipped about when the raid was going to go down. Lee Hancock, Journalist: The morning of the raid, a reporter was sent to the compound, and he's driving around trying to figure out where he is, when here comes a Buick station wagon, stops, rolls down the window, says, “Hey, buddy, are you lost?” He says, "Yeah, I'm looking for Mt. Carmel, there's gonna be a big raid." Turns out that the guy in the car is one of the inner circle of Koresh’s followers. He immediately goes and tells Koresh what was happening. Kat Schroeder, Former Branch Davidian: That morning, David said that we had information that there was going to be a raid today. The men were arming themselves, and the women were told to go back to their rooms and bunker down. Bill Buford, ATF Team Leader: We were going to be confronting 150 people on a very large compound. They had 45 minutes to prepare for us and began firing on us as soon as we got there. Archival Sot: Gunshots. Dogs yelping. Bill Buford, ATF Team Leader: I heard an M-60 machine gun being fired. Then I heard the AK-47s. And then I hear the 50 calibers, just a brutal, brutal weapon. There’s no doubt these people were trying to kill us. Archival Sot: 911 Operator: 911, what's your emergency? Archival Sot: Wayne Martin: There’s 75 men around our building shooting at us. Archival Sot: 911 Operator: Okay, just a moment. Archival Sot: Lt. Lynch: Yeah this is Lt. Lynch, can I help you? Archival Sot: Martin: Yeah, there's 75 men around our building and they're shooting at us. In Mt. Carmel. Archival Sot: Lynch: Mt. Carmel? Archival Sot: Martin: Yeah, tell 'em there's children and women here and to call it off! Bill Buford, ATF Team Leader: The firefight went on for two and a half hours. And when they finally they agreed to a ceasefire, we were able to get our people and get out. Archival Sot: Lynch: Yeah, this is Lynch? Archival Sot: Lt. Lynch: Now who am I speaking with? Archival Sot: Lynch: Okay, David. Archival Sot: Koresh: --the notorious. What'd you guys do that for? Archival Sot: Lynch: Well, David, see, what--what--this-- what I'm doing is I'm trying to establish some communication links with you. Archival Sot: Koresh: No, no, no, no, no. Let me tell you something. Archival Sot: Lynch: Yes sir. Archival Sot: Koresh: You see, you brought a bunch of guys out here and you killed some of my children. We told you we wanted to talk. How come you guys had to be ATF agents? How come you try to be so big all the time? Archival Sot: Koresh: There’s a bunch of ours dead and a bunch of you guys dead, now that’s your fault. Archival Sot: Koresh: Why didn't you do that first? Lee Hancock, Journalist: By the end of this shootout, four ATF agents were dead, more than a dozen were wounded. And inside, five Davidians were dead and David Koresh was wounded. Archival Sot: ATF Agent: Okay then, move out. Bill Buford, ATF Team Leader: There really wasn't much organization as to how we left. The three team leaders, all of us, were wounded very badly. I was actually put in a blanket and placed on the hood of a car, and uh, I don't remember anything about the trip out actually. Lee Hancock, Journalist: American law enforcement had never seen anything like this. They had never had this kind of loss. They had never been met with this kind of a resistance. There was shock, there was anger, and there was uncertainty. Archival Sot: Rose: Tragedy tonight in Waco, Texas. At least four federal agents and a member of a cult group are dead after an hour-long gun battle at the cult’s ranch. Fourteen other agents were wounded in the shootout that started when law officers tried to enter the compound. Jeff Jamar, FBI Special Agent in Charge: The first call I received was from Washington…probably mid-morning, on Sunday, which is the -- February 28th, and that the ATF at requested that we help, you know, resolve it. Byron Sage, FBI Negotiator: I was at home with my family when the phone rang, and it was Jeff Jamar who says, “Byron, there’s been an ATF raid near Waco that’s gone badly. Get to Waco as soon as you can and assist with the negotiations.” It was a precarious situation to say the least. Lee Hancock, Journalist: The FBI’s Hostage Rescue Team, who had been involved several months earlier at Ruby Ridge, was brought in to try to contain the Davidians. At the same time, the negotiators were supposed to be parallel to the Hostage Rescue Team in trying to get a handle on how to get these people out. Bob Ricks, FBI Special Agent in Charge: We had four dead ATF agents, and justice was going to be served in one fashion or another. But we wanted no more bloodshed. We were willing to spend as long as possible to try to get the people out. And particularly we would focus on the children. Trying to get the children out of there. Byron Sage, FBI Negotiator: And starting off the evening of the 28th of February we were successful. We were starting to get kids out. But we couldn’t fathom how in the world these parents were so latched on to David, that they would abandon their children. Byron Sage, FBI Negotiator: We took videotapes of them playing on the swing set, and eating ice cream, and just communing with one another, and we sent them back in to the compound. We wanted to do something tangible so that their parents could think, “Maybe I need to come out and reassume my responsibility as a parent. Archival Sot: Children saying “hi” to their parents. Kat Schroeder, Former Branch Davdian: I didn’t decide to send my kids out. My kids leaving was part of the prophecy. I didn’t know when it was going to happen, but I knew it would happen. They weren’t David’s children. Twenty-five children remained inside the compound, along with at least seventy adults. Lee Hancock, Journalist: The negotiators needed a different way to approach the situation. And so, it was proposed to Koresh that he make a recording that could be broadcast to bring his message to the world, if he would agree to lead his people out. Koresh agreed to do this. Archival Sot: Radio Host: Okay, here we go, we're going to the tape of David Koresh. Lee Hancock, Journalist: They’re bringing in buses. They’re bringing in all sorts of people who will process the folks coming out of the compound. They were convinced that he was going to come out. Bob Ricks, FBI Special Agent in Charge: We were at such a high level, thinking that this thing was going to end. We were almost high fiving each other, when all of a sudden everything just stopped. We were told that David received a message from God telling him to wait. Archival Sot: Byron Byron Sage, FBI Negotiator: You went back on your word. Archival Sot: David Koresh: That is a lie! Archival Sot: Byron Sage, FBI Negotiator: That is not a lie. Archival Sot: Koresh: That is a lie! Archival Sot: Byron Sage, FBI Negotiator: That is absolute fact. Archival Sot: Byron Sage, FBI Negotiator: You know as well as I do that you're challenged to open these seven seals. It's garbage, it's a false hope and you know this. Archival Sot: Koresh: No it's not. Lee Hancock, Journalist: ...Christmas carols, the sounds of dying rabbits, phones off the hook, and even Tibetan monk chants. It was clear that the Hostage Rescue Team was saying, “Hey, we’re going to show you who’s boss”. Byron Sage, FBI Negotiator: There were two negotiations going on. We were negotiating with the Branch Davidians, and we were negotiating with our own people. We were trying to convince Jeff Jamar that if you start to exercise force against the Davidians, you’re going to drive them closer and closer and closer to themselves. Archival Sot: David Koresh: Are we happy Kathy? Until recently we just got shot up? Bob Ricks, FBI Special Agent In Charge: David Koresh had his wives. He had his children. He had those that were trusted leaders within the organization. Some tried to portray them as just criminals and perhaps insane, but they were totally committed to David Koresh. Archival Sot: Woman: I just think now we need to sit back and see what really is going on in our government. That’s the whole thing that we’re upset with right now. We’re waiting on God for an answer about what we should do. Byron Sage, FBI Negotiator: We realized, my God, what level of control does this man exert over these folks. This is going to be a tough sell trying to get these people to come out. Archival Sot: Bob Ricks, FBI Special Agent In Charge: We are not going to be jerked around. We will take whatever action is necessary to get it resolved. And again, our ultimate goal from day one is to get it resolved peacefully. Yes sir? Bob Ricks, FBI Special Agent in Charge: It was probably the number one story in the United States, and many of the right-wing Patriot types that started showing up as well. They thought this was only about seizing guns, about ATF attacking a church because they believed in possessing guns. They didn’t manage to get into the press conferences, but somebody else did. Lee Hancock, Journalist: Louis Beam, the white supremacist and former Klan leader showed up, and presented himself as a credentialed reporter. Bob Ricks, FBI Special Agent in Charge: We figured out who he was pretty quickly. He’d previously been on the FBI’s top ten most wanted list. Archival Sot: Beam: I’m Louis Beam, the problem is I asked them the wrong question. I asked ‘em if they’re gonna have a police state? And, uh, they don’t wanna hear about police state, ATF black-booted, black-suited, black-helmeted troopers carrying guns assaulting people. Leonard Zeskind, Writer: White supremacists, like Beam, saw in this standoff the same issues that they had decided were important with Randy Weaver. The Branch Davidians were not white supremacists. But now a broader section of the far right sees itself in Waco and says we’re being suppressed, for our beliefs and our guns. Archival Sot: Tourist:Up to the top of the hill, two white little buildings up there. Lee Hancock, Journalist: There was a hill that was about three miles from Mt. Carmel. It was on a rise that was high enough that you could just barely see Mt. Carmel in the distance. This was as close as members of the public could get to the standoff. Archival Sot: Paranoid Woman: You're next, you're next! Wake up and understand! You're next! Lee Hancock, Journalist: All sorts of folks felt moved to come down to see what was going on at Waco. 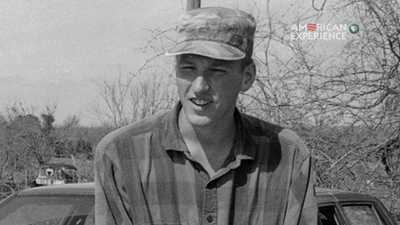 One of those drawn to Waco was a 24 year-old Army veteran named Timothy Mcveigh. Lee Hancock, Journalist: Timothy Mcveigh had already apparently been very concerned about what had happened at Ruby Ridge. So he came down to Waco and sold bumper stickers with pro-gun, anti-government slogans. He saw the raid and the siege as clear evidence of what the government would do to try to confiscate guns and persecute gun owners. Dan Herbeck, Biographer: Tim Mcveigh loved guns. When he was a kid, his grandfather taught him all about guns. The safe handling of guns and the rights of gun owners. They would go out and shoot together, go to target practice. He just loved guns. Dan Herbeck, Biographer: And the whole belief about “a man owning guns”. Lou Michel, Biographer: Pendleton, NY was white suburbia. It‘s near Buffalo; it’s where generations of the Mcveigh family had lived. Lou Michel, Biographer: Growing up, Tim loved superheroes, he had a huge comic book collection, he liked Soldier of Fortune magazine, and he hated bullies. Tim was very skinny and tall and in high school he was known as “Noodle” Mcveigh. That was the beginning of a lifelong hatred of bullies. Dan Herbeck, Journalist: After high school, he went into the army. He just couldn’t seem to find the right path to a career. But the other reason was he loved guns. It gave him access to all kinds of guns and other weapons and he was like a kid in a candy store. Archival Sot: Mcveigh: I was an admitted gun enthusiast and so you can’t go wrong both brushing up your skills and hell the Army is free ammunition. So I wanted to get out and experience the rest of the world. I wanted to get out of my isolation of Pendleton. Lou Michel, Biographer: The army provided Tim mcveigh with a place where he fit in. He was the top gun at Fort Riley in his Bradley fighting vehicle. His supervisors took notice of him. He was a leader in the army. And then he goes over to Iraq for the first Gulf War. Dan Herbeck, Journalist: It was in the war that Mcveigh first started to become disillusioned with the military and the United States government. When he killed Iraqi soldiers he didn’t feel the exhilaration that he thought he would. Mark Potok, Journalist: He took a very, very long sniper shot and killed an Iraqi soldier, and he described seeing this man’s head explode. And he could not see the reason for it. He could not really understand what the United States was doing there. Archival Sot: Mcveigh: My overall experience in the Gulf War taught me that these people were just that, they were people. They were human beings at the core, they were no different than me. Then I had to reconcile that with the fact that, well, I killed them. Lou Michel, Biographer: He’s truly conflicted. He sees the American government as a bully. But they summon him home for Ranger school, Special Forces. And he was willing to put aside his anti-government views in order to become the ultimate soldier. But he’s not in top-notch physical shape and to his embarrassment, washes out of Rangers school. And the disillusionment compounds itself. Dan Herbeck, Biographer: He stayed around the army for a few more months but his heart just wasn’t in it anymore. He went back home and he thought it would be easy to get a good job because of his army experience, but he found that it wasn’t. Failure was eating at him. He told us that “I feel that I reached a pinnacle in the army and after that everything was just mediocrity”. Ben Fenwick, Journalist: He becomes more and more disaffected. He becomes more and more strident. He began paying attention to the really far-off conspiracies, like that the United Nations was going to take over the United States, and he totally bought into them. And he also becomes very influenced by The Turner Diaries. He becomes just gripped by this novel. Dan Herbeck, Journalist: He was really interested in this character Earl Turner and his anti-government views and his feeling that you needed to take drastic action to make the government take notice. Ben Fenwick, Journalist: Early in 1992, Mcveigh wrote a letter to the Lockport News & Journal, saying, “I don’t want there to be blood in the streets, but it may come to that”. Lou Michel, Biographer: Many people dislike the government, but they don’t write the type of letter to the hometown newspaper that Timothy Mcveigh did. This was one of the first public signs, where we really know that this guy is harboring some dangerous thoughts. Dan Herbeck, Journalist: And then Ruby Ridge happened. And Ruby Ridge absolutely enraged mcveigh. He was very upset with the way the government handled that. He felt it was murder. He felt it was all about attacking the rights of people to own guns. Mark Potok, Journalist: He was not happy. He wasn’t getting along with his family. He didn’t have a girlfriend. He took his old beat-up car and essentially began an odyssey, traveling around the western parts of the country, kind of absorbing more and more and more of this ideology. And probably the single most important place where ideas of the radical right were spread were gun shows. Daniel Levitas, Writer: Gun shows were sometimes more than just gun shows. The anti-government message which cloaked itself in the paraphernalia of patriotism was promoted and peddled at gun shows all over. Leonard Zeskind, Writer: There were a number of people who traveled from gun show to gun show, selling and trading, and Timothy Mcveigh became one of these people, and in the process, he met white supremacists, and talked to them, he sold The Turner Diaries, he became embroiled in the larger movement. Lou Michel, Biographer: And then he shows up at Waco. He can’t believe it that American citizens are being held there by government agents. And it rivets his attention. Archival Sot: Mcveigh: Who were the aggressors? Koresh wasn't giving in, that's true, but the FBI were the aggressors, okay? Everything they do exudes that they are at war. They're a military force at war. The thing is who are they at war with? Well, they're at war with the American people. Archival Sot: Sam Donaldson: In Waco, Texas the 40th day of the siege at David Koresh’s compound is ending just like the other 39 – with Koresh and his followers on the inside, federal agents outside waiting for something to happen. Byron Sage, FBI Negotiator: As the negotiations continued, the productivity of those negotiations diminished, mainly I think because David was done sending out the people that he intended to send out. Kat Schroeder, Former Branch Davdian: Those of us that left were leaving because we were not good for the group. We were not going to help the group ascend. So we were kicked out. Byron Sage, FBI Negotiator: The last person came out of that compound on the 21st of March. The last child came out the 5th of March. We were in a very difficult situation. Archival Sot: Koresh: You guys, you guys you do it your way, I do it my way. You're going to argue with me, you catch me on the side of the road somewhere, and you come and argue with me. You come pointing guns in the direction of my wives and my kids, dammit, I'll meet you at the door any time. Jeff Jamar, FBI Special Agent in Charge: Nobody’s fooled here. We’re not negotiating, okay? That’s over, if it ever existed. We weren’t accomplishing anything. We were just in a situation that, all it could do was grow worse. Bob Ricks, FBI Special Agent in Charge: His rhetoric is getting more and more violent. He’s refusing to talk to us. Our psychologists reached the conclusion that he’s more than likely getting ready to bring this down to a magnificent end - unless we engage in some sort of a tactical intervention. Lee Hancock, Journalist: More and more people within the Bureau, including the negotiators, began to come around to the idea that they needed to do something to force Koresh’s hand. So the FBI went to the Attorney General, Janet Reno, with a plan to use armored vehicles to knock holes into the building and spray in tear gas. Initially she refused it. She asked for more information. So the FBI went back with testimony, from former Davidians, of child sexual abuse going on in Mt Carmel. And she saw the videotape evidence of these young girls with these babies, and it confirmed to her that this was going on. Apparently, at that point, Janet Reno approved the plan. Archival Sot: Steve Schneider: Everybody grab your mask, everybody grab your mask! Byron Sage, FBI Negotiator: A number of times early on, we had gotten court authorized permission to insert microphones into that building. That morning, we couldn’t hear anything live because there was too much noise, too much ambient noise. But once the tapes are scrubbed someone clearly says “Put on your masks.” Shortly after that you distinctly hear orders to spread the fuel. Archival Sot: Davidian 1: Did you pour it yet? Archival Sot: Davidian 1: I haven't yet. Archival Sot: Davidian 2: David said pour it, right? Archival Sot: Davidian 1: Did he? Did he want it poured? Archival Sot: Davidian 2: Come on, let's pour it. Archival Sot: Davidian 3: We want some fuel! Archival Sot: Davidian 4: I've got some here. Archival Sot: Davidian 5: I wish they got more hay in here. Archival Sot: Davidian 6: I know. Byron Sage, FBI Negotiator: All the while our guys were inserting tear gas, they were spreading fuel. All morning long. Jeff Jamar, FBI Special Agent in Charge: Had we heard that, “spread the fuel,” we would have pulled back. We would have pulled away. And then of course, what happened, it was just devastating to everybody. Archival Sot: CNN Anchor: As you can see on your screen, there is a great deal of smoke coming out from the building, let’s go to Mike Capps now -- we can also see some flames there now. Mike, what can you tell us? What can you see? Archival Sot: Mike Capps: Well, Bonnie, for the last 15 minutes, we've watched this M60 vehicle, this combat engineering vehicle, make large holes in the side of this building and pump tear gas in there. Now we have a very large-scale fire breaking out on what must be the south side, right near the front side of this building. Mark Potok, Journalist: I went out to the roadblock, and was looking through a friend’s television camera, and noticed little tiny licks of flame, first out of one side of the building, then out of the other. And in a matter of, it seemed like seconds, the building was engulfed. You know we all stood there waiting to see the people come out. There were 80 or 90 people in there. Byron Sage, FBI Negotiator: As that fire continued to build, a few adults came out. One of them had jumped out of the second floor window, and then she started to run back into the fire. An agent started to run after her, went into the building, grabbed her, and pulled her out, and she was ready to ignite. I mean, there was smoke trailing off of her clothes. Nine adults came out. Not one of them brought a child out. Kat Schroeder, Former Branch Davdian: I saw it on TV, just like everyone else did. I was not surprised that mothers didn’t come out with their kids. David taught us that there would be a climactic battle, and we would lose it, and we would ascend to heaven in a fiery transcendence. I think it more surprised me that some people actually did come out. I would've expected them all to die. Jeff Jamar, FBI Special Agent in Charge: The part that we played cannot be ignored. We provoked the circumstances, but David Koresh decided who was going to die. What happened was to serve his purpose, and that’s the most devastating thing to me, is I served his purpose to a terrible degree. Bill Buford, ATF Team Leader: When I saw the fire, all I could think about were the children in there. You know, the parents had made their own decisions, but those kids didn’t make any decisions. I literally bawled when I saw it. It was Armageddon, just like he said it would be. 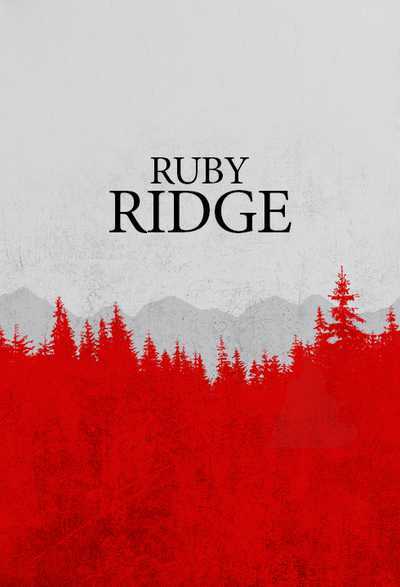 Stuart Wright, Writer: At Ruby Ridge, Americans saw the deaths of two people. But at Waco, they saw massive deaths. There were people who had a legitimate argument that there were all kinds of mistakes made and this could have ended very differently. But other people were saying this was a government massacre on a scale nobody had seen before. It was certainly framed in this manner by the far right and the reaction was almost immediate. Archival Sot: Conspiracist: We have several witnesses that say that they saw 25 to 30 people exiting out these double doors to escape the fire, and that these people were gunned down in cold blood as they tried to escape. Mark Potok, Journalist: There were several films made by people on the radical right, which claimed that this had been a deliberate murder. Lee Hancock, Journalist: One of the earliest was a documentary called “Waco: The Big Lie.” The crucial footage that they used was footage on the day of the fire, where they alleged that if you looked at the footage the right way, that you could see the tanks actually setting fire to the building. Archival Sot: The Big Lie Narrator: At the same time as fire was already breaking out in the back of the house, as you just saw, as this tank backs out flame can be seen shooting from the front of it. Lee Hancock, Journalist: When someone could package the footage that had disturbed everybody in America with a potent message about government atrocities, it touched a chord. Those who had a tendency to doubt the government were enraged. Archival Sot: Mcveigh: I’m watching flames lick out windows, and I’m watching tanks ram walls. And my eyes just welled up in tears, and tears started coming down my cheeks as I’m watching this scene unfold… I’m not going to shy away from the word rage, for me, I felt absolute rage. Dan Herbeck, Journalist: For Tim Mcveigh, it was all happening because of the US government, the biggest bully in the world. And just a few months later, the Brady Bill passes. Dan Herbeck, Journalist: Like many people, Tim mcveigh was convinced that the Brady Bill meant that the government was going to take guns away from law-abiding citizens. Archival Sot: Clinton: … a ban on handgun ownership and restrictions on possession of handguns by minors, the beginning of reform of our federal firearms licensing systems. Daniel Levitas, Writer: The combination of the perceived government assassination of the Weaver family, and then the perceived military government murdering its own citizens in Waco, and then, the Brady Bill, the government coming after your guns -- that just exploded the recruitment of anti-government extremists. Archival Sot: Militia Leader: We have a government that is on the verge of being completely out of control. They allow tyrants to come in with hooded masks on – unidentified – bust down your door. It’s happened, all over America. Archival Sot: Phil Donahue: This is the new thing in America. It’s called “the militia”. No, they say they’re not racist, it’s not just about guns and possession of guns, but the 2nd Amendment’s involved here definitely. They’re proud of their 2nd amendment. And by God no constable is going to come from some far away place and break their door down. They’ll shoot ‘em first. Leonard Zeskind, Writer: There had been a spurt of growth in militia organizations after Ruby Ridge. But Waco, and the Brady Bill, accelerates the movement. By the end of ’93, there was a huge underground of armed white supremacist militias all over the country. All of them dedicated to resistance to the federal government. Dan Herbeck, Journalist: Tim Mcveigh didn’t actually belong to a militia group but he certainly had the same opinions about the government that many of the militia groups had. For Tim Mcveigh, it was all part of a massive government conspiracy. All these events, they were all connected and it was all leading down a path that was going to end with federal agents coming to his home and the homes of gun owners all over America and storming into those homes and taking their guns away. I think from that moment on he was trying to determine what terrorist act to commit against the US government. Jerry Flowers, Police Inspector: Later that morning, we went into the south side of the building, not knowing what we were fixing to walk into was the daycare center. The granite floor was all busted and broken and just going every which way. And as I'm fixing to go in, one of the Oklahoma City officers comes walking out carrying a little boy. Archival Sot: Don Hull: It's where the elevators used to be!... I can't. Archival Sot: Responder: Let me have him. Jerry Flowers, Police Inspector: And I just turned and took a second breath and went into the daycare center. We were moving debris. We were picking up boulders. Literally everyone was digging on their hands and knees, trying to get to these kids. Helena Garrett, Mother: The children were coming out one by one. Brandon was severely injured. So was Nekia. Rebecca just seemed to me, it just seemed as though she was just dipped in blood. The next baby that they brought out, they went to lay this baby on the ground. They had these perfectly folded white sheets and they would bring another one out, and they would bring another one, and another one. And they lay them in a line, wrapped in these sheets. And then a nurse came, and she moved the blanket back from their feet, and she was writing things, and she tagged their little feet. And I think that's when reality set in, that my son Tevin's not coming home. Jerry Flowers, Police Inspector: When a baby’s body was carried out of that building, even though one person carried that baby, we all carried that baby. And when we laid ‘em down onto that makeshift morgue and lined those children up out there, that was really a hard thing to see, because that was all of our kids. That was everybody’s kids. That wasn’t just one person’s child. That belonged to everybody. The emotions that we felt and still feel to this day from what -- what we saw was just remarkable. And the kids that survived and came through that was just absolutely incredible. Jim Denny, Father: Our children ended up at two different hospitals. And once we found them, we just made up our minds that Claudia was gonna be with Rebecca and I was gonna be with Brandon. When I got there, Brandon had just had a 4 and a half hour brain surgery. Archival Sot: Jim Denny: How’s daddy’s big boy, huh? Jim Denny, Father: He had a piece of something blown into the upper left side of his head that went into his brain. Dr. Reynolds, his neurosurgeon, could not tell us whether he’d live or not. We knew for an absolute fact that our children were fifty feet from it. Fifty feet from a massive bomb. There was five children sitting at a table in the daycare center, and one in the bathroom. And those six survived. Claudia Denny, Mother: When I saw Rebecca for the first time, the doctor said “She’s gonna be fine. She has a lot of cuts and bruises and she has a broken collarbone. But, she was alive. At 9:02 that day, our world ended. And then when we found our kids, our new world began at 4 o’clock on April 19th. Archival Sot: William Pierce narrating The Turner Diaries: My day’s work started a little before 5 o’clock yesterday when I began helping Ed Sanders mix heating oil with the ammonium nitrate fertilizer in unit 8’s garage. Dan Herbeck, Journalist: Tim Mcveigh had read in The Turner Diaries of how generally you could build a truck bomb. He found other articles that told him exactly how to build a truck bomb. He wanted to do what Earl Turner did: take down a government building. Mcveigh recruited two Army buddies to help him build a bomb. Lou Michel, Biographer: Mcveigh truly believed that he had two comrades in arms in Terry Nichols and Michael Fortier. They go back to the Army…They all like The Turner Diaries. They all shared the same anti-government thoughts. They all wanted to show that somebody could attack the US government. That is was that vulnerable. To get started, they knew that they needed the main ingredient, which was fertilizer. Mark Potok, Journalist: They start to buy bag after bag after bag of ammonium nitrate. Tim Mcveigh and Terry Nichols break into a storage shed at a quarry and they steal these explosive Tovex sausages, which will make the bomb more powerful. Dan Herbeck, Journalist: It wasn’t easy to get some of this stuff. Some of the explosives were not available to the average citizen. They spent months and months getting the parts of this bomb together. Fortier’s role was very, very limited. Nichols had a bigger role, but really, just following orders from Mcveigh. Mark Potok, Journalist: And then, Tim Mcveigh manages to get some 55-gallon drums of nitromethane racing fuel. The bomb that was depicted in The Turner Diaries was ammonium nitrate and fuel oil. Mcveigh was going to amp up his bomb really dramatically by using this much, much more volatile fuel. Dan Herbeck, Journalist: During this time that he was driving around…Getting his materials for the bomb, he was basically on this anti-government odyssey. He visited a militia compound, he visited Area 51 in Roswell, and he visited Waco. Ben Fenwick, Journalist: It was very important to him to go bear witness to what had happened. To make himself feel that place and that moment. It was also around this time that he and Fortier and Nichols began selecting what was going to be the target of their bomb. Stuart Wright, Writer: They went to Little Rock, Arkansas. They went to Tulsa. They went to Dallas. 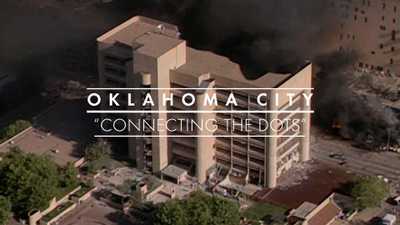 They picked the Murrah building in Oklahoma City in part because the ATF, who had conducted the raid on the Branch Davidians, had an office in the building. They thought that was appropriately symbolic that they would go after somebody who was directly connected to Waco. Ben Fenwick, Journalist: The Murrah Building had numerous federal offices. It had HUD, it had the ATF. It had FBI offices. It had military recruiters, the Social Security administration, the DEA was in there. And there is some question as to whether or not Mcveigh knew there was a daycare in there but he also kind of indicated that it wouldn’t have made the difference anyway. Michael Fortier began feeling uneasy about doing this. He suddenly visualized what was going to happen. He points out that there were probably going to be innocent people inside that are going to die. Stuart Wright, Writer: Mcveigh told him, “There has to be a body count”. He said, “The government’s not going to sit up and take notice unless there’s a body count. It can always build a new building, but a body count will get their attention”. Archival Sot: Mcveigh: From a military perspective to get a message across, you need to hurt them where they hurt the most. The only way they’re going to feel something, and the only way they’re going to get the message is with a body count. Lou Michel, Biographer: Tim picks April 19 for the bombing, because it will be the anniversary of the fire at Waco. On Easter Sunday, three days before, Tim Mcveigh calls Terry Nichols and says it’s time. Dan Herbeck, Journalist: He and Nichols, separately, drove from Kansas to Oklahoma City. Mcveigh took his three hundred dollar getaway car, and stashed it in a little parking lot. He put a sign in the window, ‘Please Do Not Tow’. And then they drove back to Kansas. Mark Potok, Journalist: The next day mcveigh goes alone, apparently, to rent a truck in Junction City, the big Ryder truck that he will use as a bomb. Jon Hersley, FBI Investigator: They asked him: “Do you need insurance on it?” He said: “No, I won’t need any insurance.” They asked him: “Do you need any extra days?” And he answered: “No I won’t need any extra days.” We actually have him on video coming in to the McDonalds about a mile away from where he picked up the truck. 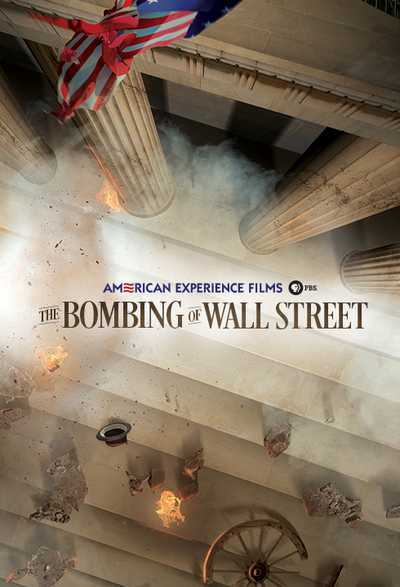 Dan Herbeck, Journalist: April 18th was bomb making day. Mcveigh drove the truck out to Geary Lake State Park, where they would assemble the bomb. He was extremely upset because Nichols was starting to get cold feet. He threatened to kill Nichols and his family if Nichols refused to help him with the final preparations. Archival Sot: Mcveigh: The bomb was primarily assembled by myself, with a little assistance from another who was under duress to assist me. I was the one that primed the charges, that crimped the caps to the fuse, primed each barrel, made sure there was redundant fusing systems. And it only took three hours. Ben Fenwick, Journalist: After they get the bomb built, Terry Nichols made it very clear he was not going to join Mcveigh the morning of the bombing. And so, they said goodbye, shook hands, Nichols wishes him luck, and then he gets in the truck and he drives south. Dan Herbeck, Journalist: He was nervous as he drove into Oklahoma City, but I don’t think he ever second-guessed himself. I don’t think he ever thought for a minute that this was the wrong thing to do. When he got close to the building, he pulled the truck over, and lit two different fuses leading back to the bomb. Jon Hersley, FBI Investigator: The last video that we have of him was at 8:57 in front of the Regency Tower Apartments. At that point in time, he was about a block to a block and a half west of the Murrah Building. Archival Sot: Mcveigh: I walked very slowly towards the YMCA. Once I got in the blind alley of the YMCA, I did jog because I knew nobody was looking. Jerry Flowers, Police Inspector: Later that day we got back to a spot where the crater in the building had been taken out and all the floors had fallen and we were moving debris to try to find anyone still alive. As we got in there one of the guys started screaming: “Everybody be quiet, everybody be quiet.” You could faintly hear voices. So the guys got in there with saws and they were able to cut these people out of there. Mark Potok, Journalist: It was very dangerous. 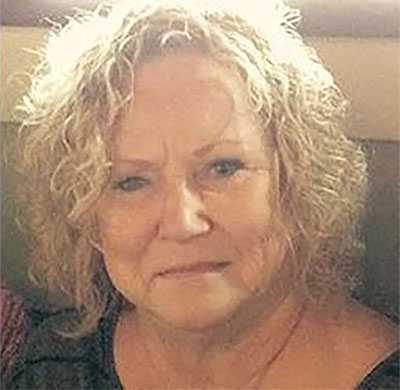 A huge piece of debris fell on a nurse and killed her. Something like 20 other rescue workers were injured as well. They got the last person out of there alive about 7 o’clock that night. Jerry Flowers, Police Inspector: Volunteers from all over the country came in to help. That day, people brought clothes down there, gloves, boots. There were people that showed up who started cooking for rescue workers. Mark Potok, Journalist: There was an incredible feeling of empathy from Oklahomans. Oklahoma City is a small city, and virtually everyone in that city tried to help. There were blood banks set up, and they got something like a thousand times more blood that they could use. Jennifer Rodgers, Police Officer: There was a lot of hard work going on. I was assigned to patrol the perimeter. And it got eerily quiet anytime they would bring a body out. They started giving us numbers, and we just had to hold our breath that the numbers would slow down. Helena Garrett, Mother: The medical examiner would come and they would say, “16 confirmed dead, or 32 confirmed dead, and the number would keep rising -- it was just rising so fast. I just could not put it all together. Jerry Flowers, Police Inspector: When I left the building I’d been there six or seven hours. Of course all of us were covered in dust and blood. And nobody really said anything. We just kinda-- “oh my God” type of response. And we just couldn’t believe what had happened. Archival Sot: Police Officer: How you doing today sir, we’re currently conducting an investigation today into the Oklahoma City bombing. Do you usually travel this road very much? Bob Ricks, FBI Special Agent in Charge: We operate under the premise that the evidence leads you to where you want to go. We have to gather every bit of evidence that we can and then start trying to form hypotheses and theories as to what has transpired. Archival Sot: FBI Agent: Did you notice a Ryder Truck? Larry Tongate, FBI Investigator: The first real break of the investigation, which happened within hours of the bombing, was that we found the rear axle of what turned out to be the bomb truck. Jon Hersley, FBI Investigator: On the rear axle assembly, there’s what’s called a confidential vehicle identification number, which was PVA26077. I’ll never forget that number. Larry Tongate, FBI Investigator: We were able to trace that number to a Ryder truck assigned to Elliott’s Body Shop in Junction City, Kansas. Mark Potok, Journalist: After talking to her about the Ryder truck, they show her the sketch, and she recognizes it. She pulls out her records and for all of Mcveigh’s planning, he apparently had a moment of weakness. And he signed his own name to the register. Jon Hersley, FBI Investigator: So that really got us. We wanted to know who Tim Mcveigh was. So what we did, was go into the National Crime Information Center and run an offline search, and try to find out if anybody named Tim Mcveigh’s been arrested anywhere in the United States in the recent past. Bob Ricks, FBI Special Agent in Charge: It turns out that a highway patrolman has arrested someone by the name of Timothy Mcveigh. Dan Herbeck, Journalist: He was heading off toward Kansas, in this old Mercury Marquis. He got on the Interstate, and a state trooper pulled him over because he had no license plate on the back of his car. Lee Hancock, Journalist: The trooper then notices a bulge under the driver’s jacket, and says, “Is that a gun?” The driver acknowledges yes, it is, and Tim Mcveigh is put under arrest and taken to the county jail. Lou Michel, Biographer: The T-shirt he is wearing says “sic semper tyrannis” – thus ever to tyrants. It was what John Wilkes Booth shouted when he shot Lincoln. Dan Herbeck, Journalist: For two days Mcveigh languished in the jail and nobody really knew who he was. Other than the fact that he was illegally carrying a weapon, the police had no suspicions about him. Archival Sot: Janet Reno: I’m pleased to announce that one of the individuals believed to be responsible for Wednesday’s terrible attack on a Murrah Federal Building in Oklahoma City has been arrested. Ben Fenwick, Journalist: Once they know they’ve got their guy, the decision’s made to take him to a more secure facility. The word is leaked out to the press, which broadcasts it on TV, so people drive there from all over to see this. Archival Sot: Booing and jeering from crowd. Mark Potok, Journalist: I and the rest of the country saw Timothy mcveigh for the very first time. And we understood in a kind of flash that there were enemies within this country. Not foreign terrorists, but red-blooded Americans who were engaged in a war against America. Archival Reporter: Mr. President? Is there a sense now, sir, that this was not a foreign threat? Archival Clinton: Let me say that I have never, and the Justice Department has never said that this was a foreign threat, but the most important thing that you understand is that even though this is a positive development, this investigation has a lot of work still to be done in it. Bob Ricks, FBI Special Agent in Charge: The capture of Timothy Mcveigh really just launched the investigation. The circumstances, obviously, indicated that he was directly involved, but you know, to what extent? His driver’s license had an address in Decker, Michigan. We dispatched agents to that location and we find out that the gentleman there by the name of James Nichols had a brother, Terry, presently residing in Herington, Kansas. We ended up executing a search warrant on Terry Nichols’ home in Kansas, and that search warrant was a gold mine. In there we found a receipt for two thousand pounds of fertilizer. We found a cordless drill that turned out to be a key piece of evidence. But probably the most important piece of evidence that we found was a calling card in the name of Daryl Bridges who shared the same address in Decker, Michigan. Jon Hersley, FBI Investigator: There were 685 calls made on the calling card. We determined where every one of those calls was placed from, the duration of the call, and who the call was made to. So we saw many calls to chemical companies, to barrel companies, to race tracks, all kinds of places Tim Mcveigh and Terry Nichols were contacting to try to acquire bomb components. We also found out about Michael Fortier through the calling card. He knew more than we did about the bombing. He knew for example, that Tim Mcveigh when he was staying at their house in Kingman had taken all these soup cans down from the kitchen and shown Michael Fortier’s wife…exactly who he was going to construct the bomb inside the back of that Ryder Truck. Archival Sot: Weldon Kennedy: Last night, Timothy Mcveigh was charged in the bombing of the Murrah Federal Building here in Oklahoma City. Two brothers, James Douglas Nichols and Terry Lynn Nichols are currently in federal custody and are being held as material witnesses. Another suspect, whom we have identified as John Doe #2 remains unidentified and at large. Bob Ricks, FBI Special Agent in Charge: A mistake was made. The artist conception has him with a Carolina Panthers cap on. It turns out that a guy had happened to be in the Ryder truck rental shop, the day before Timothy Mcveigh was. His description is almost to a T.
Archival Sot: Mcveigh: Is there a John Doe 2? Either way I can answer it should be scary because number one, if there are other people, that means they’re still out there. But on the other hand, if it was just me, isn’t that in itself, isn’t that pretty scary that one man could do that? That’s why “You can’t handle the truth” is the perfect line, because the truth is it was just me. Timothy Mcveigh’s trial began April 24, 1997. Ben Fenwick, Journalist: The prosecution hit Mcveigh’s defense team with everything they had. Michael Fortier’s testimony was crucial and damning, but he also told a very poignant story. He talked about how he would have a dream at night that he was calling people to warn them, and then he’d wake up, and he was in jail, and he hadn’t made the call, and that people were dead because of him. Randy Norfleet, U.S. Marine Corps: I was the second witness in the trial, and as I sat in that witness stand, it seemed just like an arm’s reach away was Timothy Mcveigh. He did look me in the eyes, and he did try to intimidate me, but I was far from being intimidated. Helena Garrett, Mother: When I had to testify, and people would ask later, “How did you sit in the room with the man who murdered your son? And I told them: my story is more powerful than me yelling at him. My story is more powerful than my fist. I’m not going to go to his level, you know, I deserve better. Tevin deserved better. Every victim of the bombing deserved better than that. Lou Michel, Biographer: Mcveigh all along wanted a necessity defense that he had no choice but to bomb to building. He did not want to claim some widespread conspiracy, which members of the defense team wanted. Dan Herbeck, Journalist: Mcveigh wanted no part of that because number one it wasn’t true and number two he did want credit for this thing he had done. And no evidence has ever surfaced that anybody but him, with a little bit of help from his two army buddies, pulled this off. He built this bomb. He designed it, he built it, and he was proud of that. Leonard Zeskind, Writer: There was no massive conspiracy. That much is clear. But the idea that Timothy Mcveigh was a lone killer is wrong-headed because it absolves the movement from which it all sprang. Timothy Mcveigh was not on his own. He was a creation of the white supremacist movement. He carried The Turner Diaries around and read it to people. He lived at the gun shows. He met Neo-Nazis, and visited with them. He was part of this movement. And the idea that there was no connection between white supremacist movement and the events in Oklahoma City is patently false. There was a strong connection and it was a deep connection. Stuart Wright, Writer: When the verdict was read, Mcveigh’s demeanor didn’t change at all. He didn’t even blink. I think he fully expected to get the verdict and he fully expected to get the death penalty and he expected to die ‘cause I think he wanted to be a martyr. Ben Fenwick, Journalist: He thought he was starting the next American Revolution. And I think he did exactly the opposite, because he showed the human face of what it really means to attack a government, a government of the people. Ruth Schwab, Housing and Urban Development: We were the government. We weren’t bad guys. We were mothers and fathers and daughters and sons and grandparents who had a job to do. Supposedly you don’t have job satisfaction if you work for the government. I never heard that type of talk in our office. We were very proud of what we did. 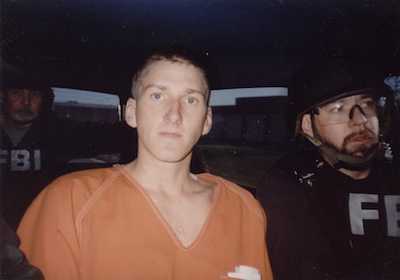 On June 11th, 2001, Timothy Mcveigh, was brought to the execution chamber, at the Terre Haute Federal Penitentiary. Archival Sot: Mcveigh: Death penalty is… would you call it an oxymoron? Death is not a penalty, it’s an escape. They treat me like a trophy. Like they’ve got me, they want to kill me, we’ve won. They didn’t win. In the crudest terms: 168-1. At 7:14am, Mcveigh was executed by lethal injection. Over 200 survivors and victims’ families witnessed it on closed-circuit television. Randy Norfleet, U.S. Marine Corps: He died without a word. There was no pain. There was no regret. Because I looked into his eyes before they were closed that last time, and saw the same deep anger and resentment and rage that I had seen in that trial several years before. Jerry Flowers, Police Inspector: Justice was served. That don’t bring them back. It just won’t bring them back. But it closes a door on that chapter, and that’s exactly what happened when they lowered the boom down on Timothy Mcveigh. Ruth Schwab, Housing and Urban Development: I had to forgive him. Because it was eating me alive. And I knew that if I kept that hatred inside, he would have won. He would have won, and I did not want to give him that success in my life. He did not kill me, and he wasn’t going to destroy me. Jim Denny, Father: We didn’t go to the execution. We had no time to worry about that. Our total focus, regardless of whatever it took, was our children. 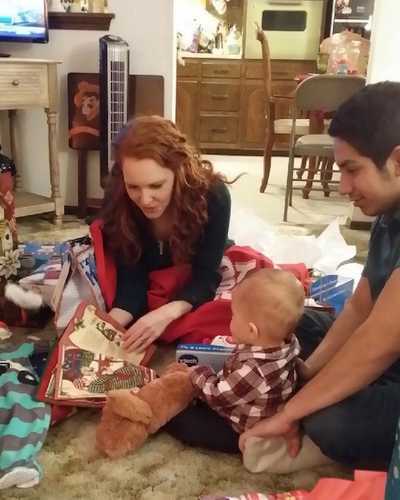 Our children and our family. Claudia Denny, Mother: We were very blessed. But it’s been hard for us. I mean to watch Brandon struggle, as he’s struggled, for the last twenty years. Faith, family and friends, that’s how we survived through all of this. But it also makes me wonder why a little bit. I mean, I don’t question it all the time, but sometimes I question why. And I do have a little bit of the survivor’s guilt that my children survived and some of the others didn’t. Helena Garrett, Mother: I still have hope that no one ever again becomes so enraged with hatred and prejudice and judgment that they think the only thing to do is to kill and harm other people. I have hope that through all of this that love is stronger than any terrorist attack. I have hope that that would never happen again. In the Oklahoma City bombing 168 people were killed, including 19 children. Among the victims were 98 federal government employees. Terry Nichols was found guilty of 161 counts of murder, and sentenced to life in prison without parole. Michael Fortier was sentenced to twelve years in prison. In 2006, he was released and placed into the federal witness protection program. According to the Southern Poverty Law Center, more than 500 militant white-supremacist groups are currently active in the United States. In 1993, Oklahoma City bomber Timothy McVeigh went to Waco, Texas to witness the stand-off between federal agents and the Branch Davidians. Rebecca Muniz was one of six children at the America’s Kids day-care center who survived the 1995 Oklahoma City bombing. Here, she discusses her life since the bombing. The 1995 Oklahoma City bombing was a product of a radical antigovernment movement with deep roots in our country’s peculiar history and culture. Director Barak Goodman discusses the decision to open his film with the iconic image of the Murrah Federal Building just moments after the Oklahoma City bombing. Ruth Schwab was working at the Murrah Federal Building in Oklahoma City when a bomb detonated by Timothy McVeigh killed 168 people. She shares her thoughts on the bombing and her life after. Could a single book inspire deadly terror? 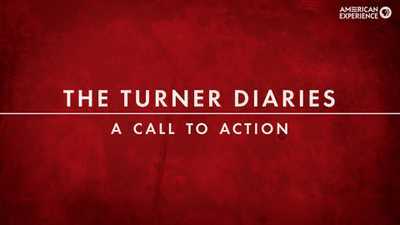 The Turner Diaries has been tied to nearly 200 murders, including those committed by Timothy McVeigh in Oklahoma City. Watch the opening scene of Oklahoma City.